Every movie genre uses story tropes but none more so than the action-adventure films. In Paul W.S. Anderson’s latest extravaganza, Pompeii, there seems to be every trope known to man, but they aren’t necessarily used a bad way. Some movies you watch for the sake of guilty pleasures when you don’t want to think too hard and just want to be entertained with exactly what you expect for two hours. In 76 A.D., an orphan slave named Milo (Kit Harington) is traded from Britannia to Pompeii right before the eruption of Mount Vesuvius. The daughter of the ruler of Pompeii, Cassia (Emily Browning) is arranged to marry villainous Roman Senator Corvus (Kiefer Sutherland), but she and Milo fall in love with each other. Meanwhile, Corvus schemes to take over the city and kill off all non-Romans. Carrie-Anne Moss and Jared Harris co-star as Cassia’s parents. Anderson’s previous cult flicks, Mortal Kombat (1995) and Resident Evil (2002), show he can make a movie popular despite criticism, meaning Pompeii might find a following too. Game of Thrones star Harington is fairly awkward in his film debut. Unfortunately, awkward could describe most of the other performances as well. Unlike P.T. Anderson, P.W.S. Anderson is a director of flashy aesthetics and heavy fight scenes, rather than subtle acting. 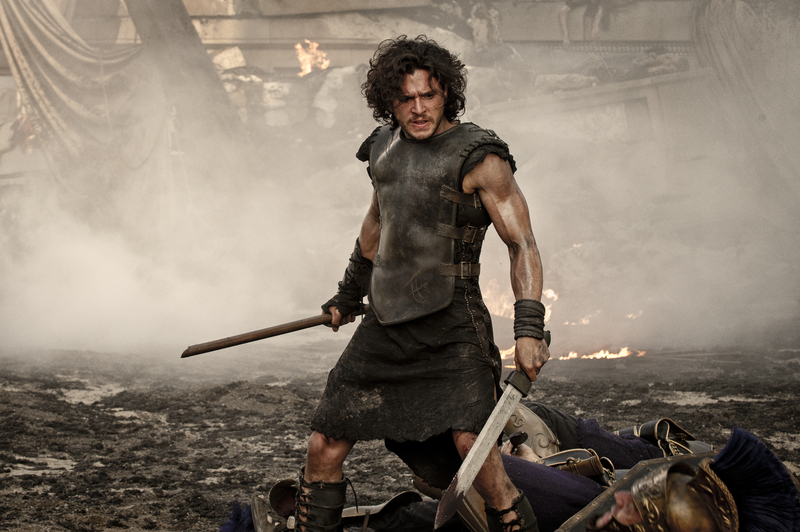 Pompeii tends to be predictable and corny but not the least bit boring for action fans.